2015 (almost) gone already? Whoa! Whiplash! Year's end is, traditionally, a time for reflection, for looking both forward and back. I'll do the same here -- trying not to compile the kind of things you'll find on other sites. No blah-dy blah blah blah "Best of" or "Worst of" lists here! So what will you find? As in the image at left, cool stuff! ... to be Really Busy. I get the math. I do. We're all adding end-of-the-year deadlines, end-of-the-year festivities, and (the worthwhile subset, anyway, of) last New Year's unfulfilled resolutions to our daily routines, commitments, and aspirations. 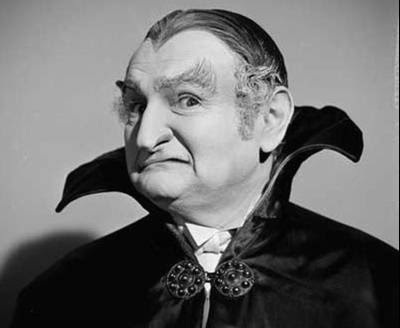 (I am still making headway on the new novel in progress. Thank you for asking.) Still, even more than usual, I can't help but wonder: where does the time go? All of which is to fess up that I'm more pressed than usual to feed my blogging habit. Many regular visitors here, I suspect, likewise find themselves busier than their norms. Put it all together and this isn't the occasion for a long post. Some of you will be in a reading and/or shopping mode. I'll refer you to three recent posts Spread the meme: Buy-a-Book Saturday! (it's never too late to buy a book, especially an ebook), 2015 Best Reads, and -- because I find this so amusingly quirky -- Robots and Descartes and Shakespeare, oh my! What's not to like? Happy holiday(s) of your choosing! Is life what it used to be? Maybe not. To begin, virtual reality is new, and at least some VR implementations have the potential to trickle over -- nastily -- into real reality. That overlap may involve interaction with human biology. ... that people should stop using the Gear VR immediately if they experience seizures, loss of awareness, eye strain, nausea or "any symptoms similar to motion sickness." In addition, the device is not recommended for children younger than 13. ... but on the emerging novel that's getting Extra Super Interesting, not a new post. Given the widespread reporting on Google's self-driving cars and Tesla's recent foray into autonomous driving (and with a dollop of wishful disregard for recent incidents of wireless automotive hacking), you may have fond thoughts of upgrading sometime soon to such vehicular luxury. Maybe think twice. Navigation and lane following may require only (comparatively) simple "narrow AI" tasks, the associated algorithms reasonably robust and perhaps nearing maturity. Not so, the ethical dimension of driving. For example, suppose that a deer just darted in front of my car. Do I purposefully endanger myself by ramming the deer? Or do I veer, and in the process endanger pedestrians or other drivers? For a machine to make such judgment calls -- on a case-by case basis, in the split-second during which such decisions must be made -- would seem to require mastering general (aka, human equivalent) AI. See: "Why self-driving cars remain more science fiction than future." Sorry if that was a downer. Here, let me make it up to you with some out-of-this-world (literally) news. Spread the meme: Buy-a-Book Saturday! Regularly since 2010, at about this time of year, I've posted about Buy-a-Book Saturday. That's my personal variation on Small Business Saturday: a day (specifically, the second day after Thanksgiving, and one day after retail's infamous Black Friday) on which holiday shoppers are especially encouraged to consider patronizing small businesses. The big-box stores and Internet giants will do fine this holiday season. But will your neighborhood stores? Why the buy-a-book variant? Because what business is smaller than the author toiling away by him- or herself? Because, as I (and many others) post from time to time, the publishing business is becoming tougher and tougher -- especially for the authors. Because more than likely you're a reader, or else you wouldn't be frequenting this blog. Robots and Descartes and Shakespeare, oh my! What's not to like? Call it a poem. Call it flash fiction. Either way, the illustrated version of it is awesome. And trust me: that (hopefully evocative) subject line fits it perfectly. And what, you ask, is it? "I Clink, Therefore I Am." Surely a copy of this poster belongs on the wall of every English lit student -- and teacher/professor -- you know. Ditto every student and teacher/professor of robotics. They just don't (yet) know they need it. As you will by now have inferred, I have dipped a toe -- by proxy, through the auspices of Sci Phi Journal -- into merchandising. The words are mine, and the meter Shakespeare's. The art is by the massively talented Cat Leonard. It can't hurt to look. Right? Check out the poster (or T-shirt, or travel mug, or iPad case, or ...) at Red Bubble. I read a lot. Often it's research for my own writing. Sometimes it's as competitive analysis (re-plowing the same ground as other recent books -- except, apparently, where zombies are concerned -- isn't the easiest way to sell one's own works). Many evenings, it's for relaxation. On many an occasion, it's for two or all three reasons. If I finish a book, it has -- at the least -- been useful. This post looks at the handful(ish) of books I read in 2015 (which isn't to say they were all written this year) that rose beyond "useful" and even "memorable" to "I remember this fondly and can well imagine rereading at a future date." In a couple of cases, they're books that I reread this year. It's a bird. It's a plane. No, it's astronomy, man. By the time President Richard Nixon finally cancelled the MOL in 1969, it had gobbled up more than $1.5 billion—$10 billion in today’s dollars—and was on track to consume 17 percent of the Air Force’s annual research budget for years. As in ... I did not see this coming. A bit over a month ago, I was delighted to discover (see A(n inter)stellar start to the day) that my latest novel, InterstellarNet: Enigma, was a finalist for the inaugural Canopus Award for interstellar-themed fiction. 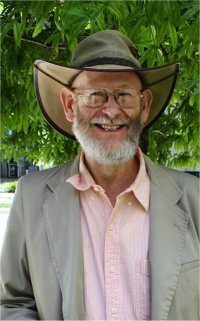 The award aims to recognize "works that contribute to the excitement, knowledge, and understanding of interstellar space exploration and travel." The awards were, well, awarded Friday evening October 30. I wasn't able to attend, but I prepared a few remarks just in case. And -- mirabile dictu -- I woke up this morning to read that InterstellarNet: Enigma had won! I spent way too long last week configuring a new PC (aka learning -- doing battle with -- Windows 10). That makes today a good day to recover a bit of time by posting from my stockpile of accumulated SF and Nonsense-relevant esoterica. 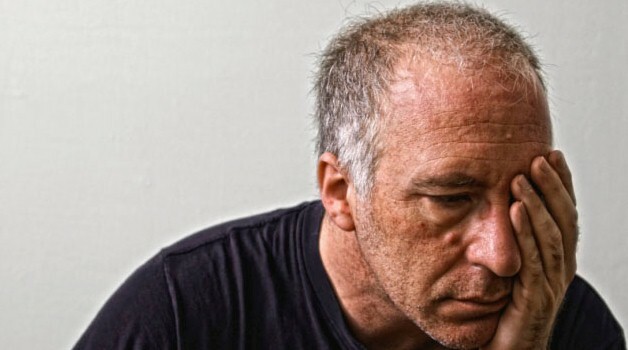 Is the problem that I haven't been getting enough sleep? In simpler times, before much in the way of artificial lighting, did people evolve to need a lot of sleep? Say, to need the oft-recommended eight hours per night? Well, maybe no one ever got that much sleep. See (from Reuters, via Yahoo News), "What a nightmare: sleep no more plentiful in primitive cultures." 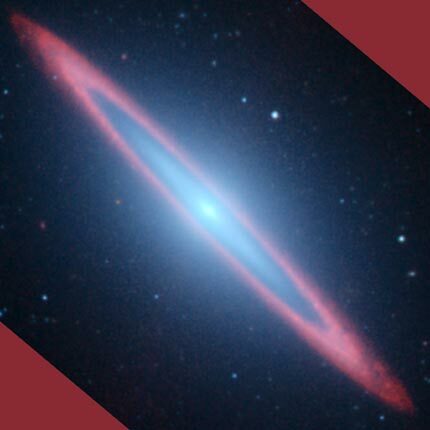 I'm interviewed about (mostly) my latest novel, InterstellarNet: Enigma. 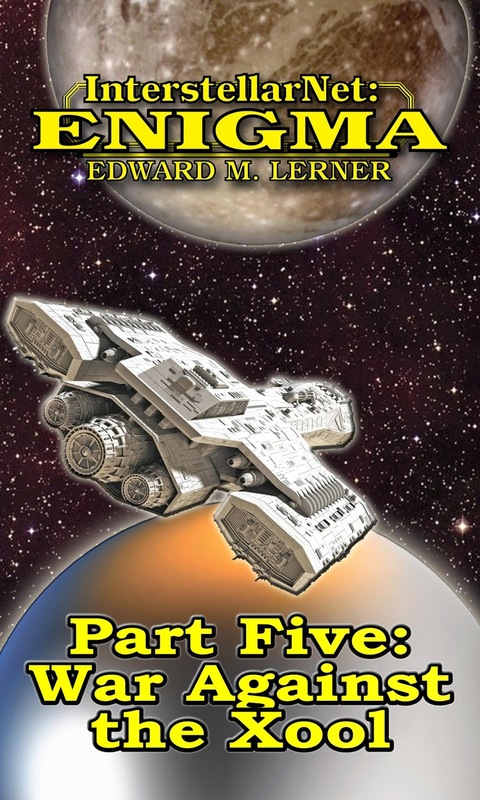 Tom Shaad, host of the show, also got me talking about some of the finer points of the InterstellarNet series, my writing process, and collaborating (on the unrelated Fleet of Worlds series) with NYT bestselling author Larry Niven. And it's all certified SFW. 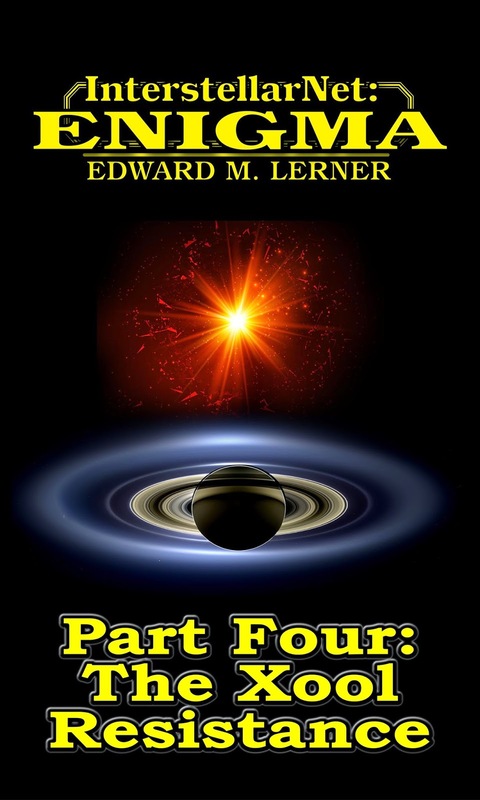 In my 2012 technothriller, Energized, an astronomer at the National Radio Astronomy Observatory (NRAO) appeals to NASA to stop work on solar-power satellites. Her concern: microwaved power from the satellites would interfere with radio telescopes. In a more mundane instance of life imitating art, NRAO recently appealed to the FCC to bar radio-controlled robotic lawnmowers. Again, the concern was over possible interference. And again imitating art, NRAO did not convince the FCC. See "iRobot's robotic lawn mower gets U.S. regulatory approval." Old-fashioned light bulbs emit a broad spectrum of colors. LEDs? They're red or green or (and this was difficult) blue. If you wanted white light -- white, of course, being a blend of colors -- you needed to mix the emissions from separate red, green, and blue LEDs. But maybe not for long. See (from IEEE Spectrum), "The First White Laser." The heart of the new device is a sheet only nanometers thick made of a semiconducting alloy of zinc, cadmium, sulfur, and selenium. The sheet is divided into different segments. When excited with a pulse of light, the segments rich in cadmium and selenium gave off red light; those rich in cadmium and sulfur emitted green light; and those rich in zinc and sulfur glowed blue. 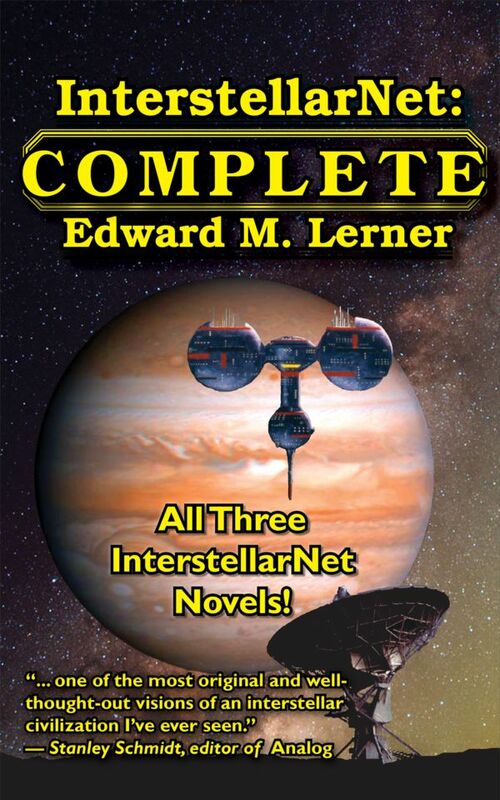 Over the summer, as part of his launch support for InterstellarNet: Enigma, my esteemed publisher offered promotional ebook pricing for earlier novels in the series. But summer is over. Pretty soon, that promotional pricing will be, too. 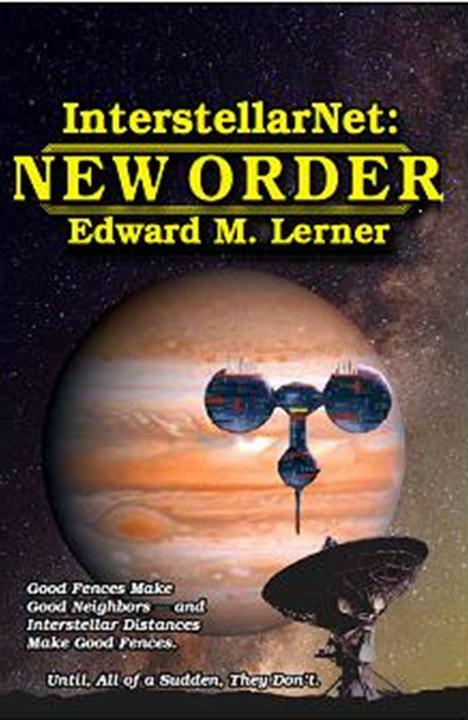 Lots of people scooped up InterstellarNet: Origins and InterstellarNet: New Order ebooks at $2.99 ... but October 15, the ebook prices return to their original $7.99. Not to step on my lede, the finalists for the inaugural Canopus Award, given for interstellar-themed SF, were announced today. And in the novel category -- well, that's the (inter)stellar news. I'll come to that. And the mission of 100YSS? 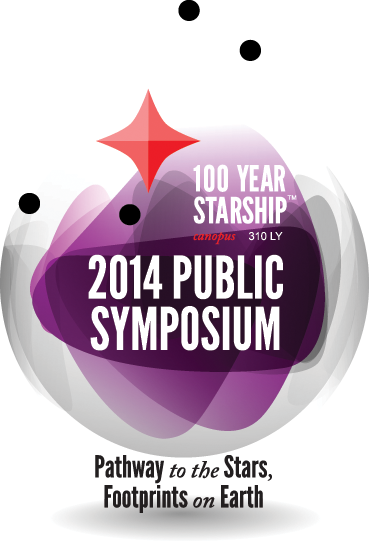 We exist to make the capability of human travel beyond our solar system a reality within the next 100 years. We unreservedly dedicate ourselves to identifying and pushing the radical leaps in knowledge and technology needed to achieve interstellar flight, while pioneering and transforming breakthrough applications that enhance the quality of life for all on Earth. We actively seek to include the broadest swath of people and human experience in understanding, shaping and implementing this global aspiration. And why this made my day? Still coming. 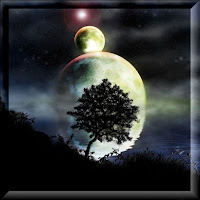 As happens from time to time, I'm posting today with eclectic items of interest -- interesting to me, in any event -- that are, despite their esoteric variety, nonetheless germane to this blog. First up: the latest progress to be reported by the nascent DC-area Museum of Science Fiction (MOSF). I figure that I should -- before the third quarter ends -- pass along the MOSF's second-quarter report. And an MOSF preview: I suspect that an item to be reported for the third quarter, when its progress summary becomes available, will be the "MOSF Journal of Science Fiction." In brief: the museum, in partnership with nearby University of Maryland, is setting up an academic journal focused on SF. Phoenix Pick, the publisher (more precisely, the re-publisher) of a couple of my novels, is featuring both books throughout September. 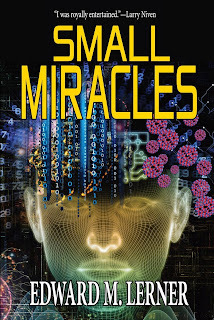 Small Miracles, a near-future medical-nanotech thriller, is available all month as an ebook for whatever you choose to pay. 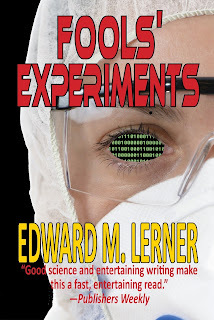 Meanwhile Fools' Experiments, a near-future novel of artificial intelligence and artificial life, is deeply discounted. Try either. Or try both. We are not alone ... and it’s our own damn fault. Curious? Of course you are. Check out the Phoenix Pick deals of the month. Or click the cover image of either book to read a bit more about it on my authorial website. And in any event ... enjoy your holiday weekend and the end of summer. First things first! During my week-plus, post-Hugo Awards disappearance from social media, many people emailed, messaged, or otherwise contacted me with well-wishes and support. Some people inferred from my silence that I was taking it hard that (a) "Championship B'tok" did not win a Hugo in its category and/or (b) the Puppy-related nominees (my story being in that category) were, as a group, rebuked in the voting. Would I have liked to take home a rocket? Sure. Even more, though, I'd have preferred -- as will be discussed later in this post -- that the overall awards situation had been different. But in the greater scheme of things? I'm good. No, better than good. The con was fun. I caught up with friends from around the country, went to some great parties, met with lots of fans, and took part in interesting panels. I even brought home a memento I can wear at Worldcons ever after (click/enlarge the image above to see my official Hugo Nominee rocket lapel pin). 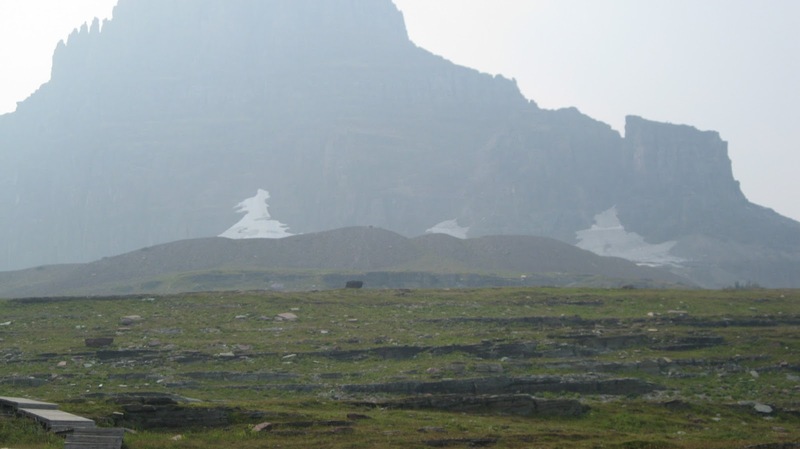 My recent absence from the web has a simple explanation: Ruth and I went from Sasquan in Spokane straight to Glacier National Park in Montana. From there we went to Yellowstone National Park in Wyoming, then to Craters of the Moon National Monument in Idaho. I'm just now back online. Someday, perhaps, I'll blog about those parks -- geology and ecology are also apt topics for SF and Nonsense. For today, I'll focus on the Hugo situation. I'll begin by offering the sentiments I had hoped (but not expected) to have the opportunity to share at the Hugo ceremony. The people I would have recognized that night still deserve to be acknowledged and appreciated. So -- after some happily surprised stammering -- what would I have said had the balloting gone differently? Going really fast and dropping into a gravitational rabbit hole are both proven ways to make time's passage slow down. Having too much that needs doing? That seems to have the opposite effect. So: no post for awhile. With luck, next week. Are you done with steampunk? (That's SF re-imagined as though progress ended with Victorian science and technology.) Editors Thomas A. Easton and Judith K. Dial were ... and they put out the call for SF stories set in a later, but still retro era. 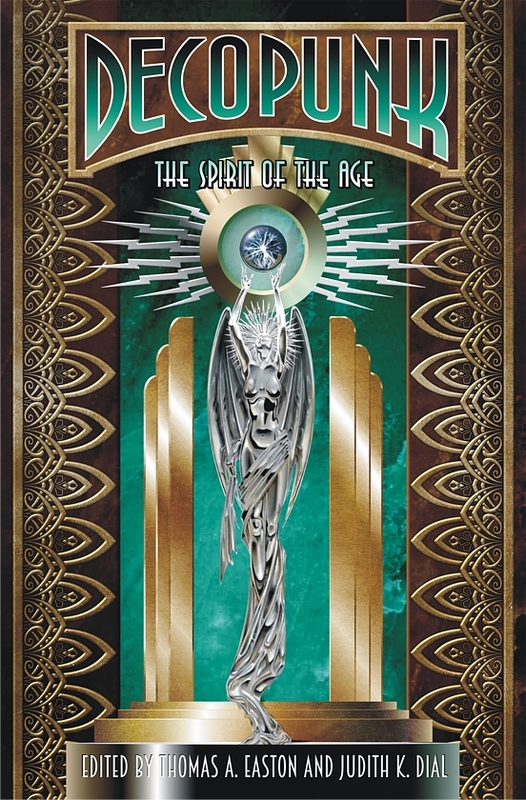 The result -- and see the gorgeous cover nearby -- was Deco Punk: The Spirit of the Age. My contribution to the anthology was "Judy Garland Saves the World (And I Don't Mean Oz)." I had so much fun with that foray into the era between the World Wars that I tried my hand at another such story. That became "Soap Opera," in an upcoming (but as yet unscheduled) issue of Analog. I read mostly SF and current science/technology. For a change of pace, I recently pulled off my shelf a thick volume that I had forgotten even owning. It's been years -- at the least -- since I bought it. But this book was well worth the wait. The Discoverers: A History of Man's Search to Know His World and Himself, by Daniel J. Boorstin, is as ambitious as the title suggests. Boorstin, if the name isn't familiar, was Librarian of Congress from 1975 to 1987. An historian, educated at Harvard, Oxford, and Yale, his writing is as solid and meticulously detailed as anyone could want -- and for all its encyclopedic depth and breadth, eminently readable. The Discoverers takes on -- and admirably discharges -- the project of surveying how our modern scientific understanding came about. It's a scholarly salute to the pioneers of dozens of fields, from explorers to clock makers to archeologists to ... you name it. Beyond fascinating and cogent introductions to many scientific topics, and the often quirky biographies of the key players, Boorstin provides context. Why did a particular advance occur when it did? Why in one part of the world, or in a particular culture, and not others? How did deference to Ptolemy, Aristotle, Galen, and Confucius, among many, inform -- or impede -- the development of science? How did prevailing beliefs, both religious and philosophical, advance or impede particular revolutions in thought? 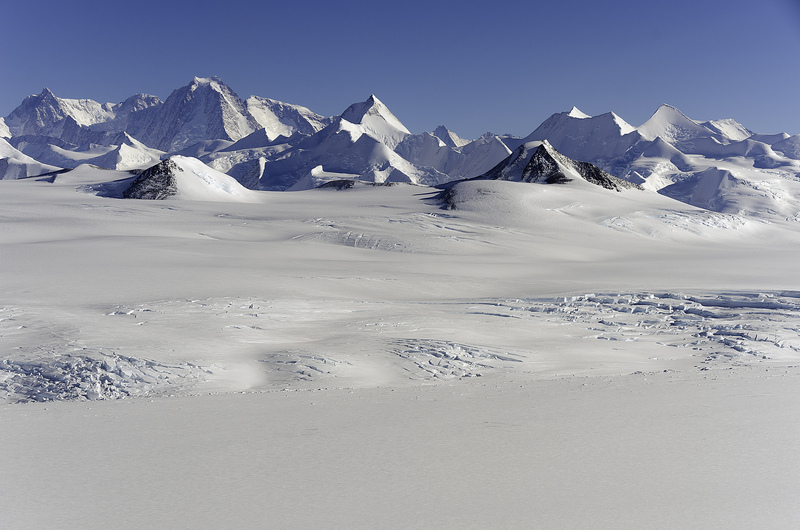 How did seemingly disjoint scientific awakenings pave the way for whole new disciplines? The Discoverers examines geographical exploration, the invention of objective methods of measurement, standardization of calendars and chronologies (how else can one even hope to talk about world history? 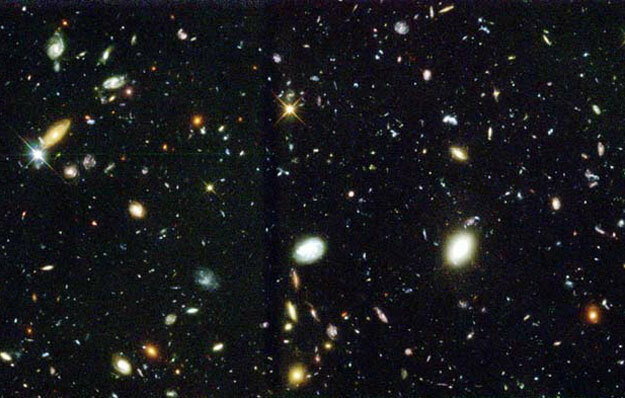 ), evolution, economics, anthropology, the discovery of prehistory, advances in astronomy, and much more. But beyond its fascinating narratives and diverting anecdotes, The Discoverers offers food for thought. Throughout mankind's millennia-long career, the common understanding(s) of our world's true nature has undergone revolution upon revolution. Much that we moderns immodestly take to be proven fact is of very recent vintage. Most science dates back no more than a few centuries -- and some branches are younger than that. Peer back even a few decades at what was then perceived wisdom, and it looks quaint. Cutting-edge technology from that same era already often seems primitive. It's enough to make one wonder: how much of what we feel certain about today will likewise seem misguided mere decades hence? The Discovers, by Daniel J. Boorstin. Highly recommended. It's been an ebook serial. 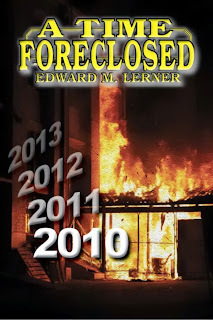 It's been an ebook book (or, as the publisher would have it, an ebook omnibus). It incorporates the Hugo Award-nominated novelette "Championship B'tok." But for the many who prefer the feel of a physical bound volume in their hands? They've been without an option. 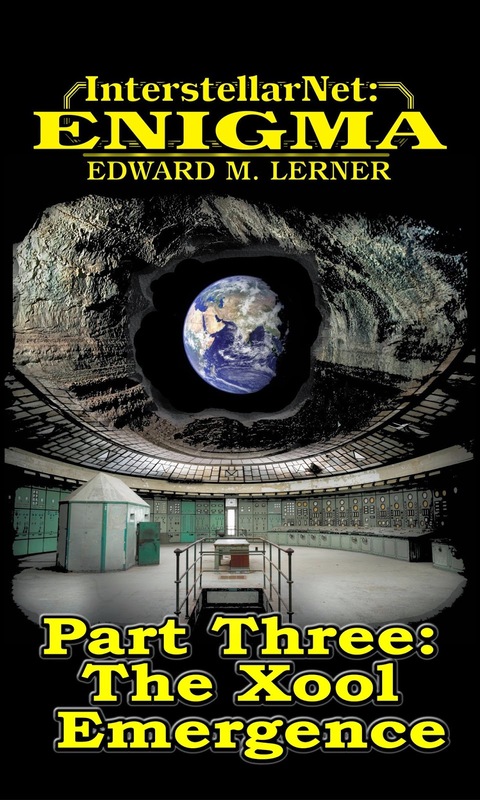 It is InterstellarNet: Enigma, the third -- and, IMO, most ambitious yet -- adventure in the InterstellarNet saga. And as of today, I'm delighted to report, this novel is, finally, also available in print. 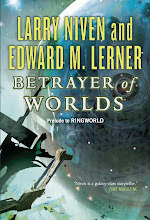 "When people talk about good hard SF -- rigorously extrapolated but still imbued with the classic sense-of-wonder -- they mean the work of Edward M. Lerner, the current master of the craft. 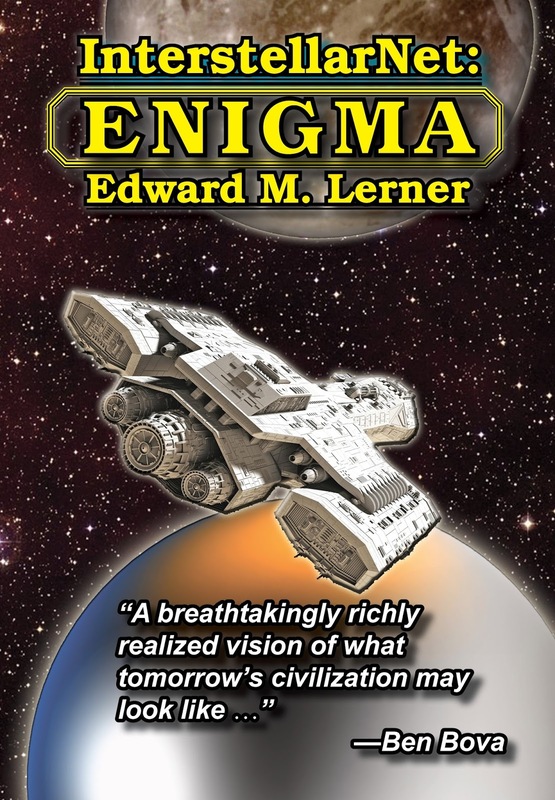 InterstellarNet: Enigma is Lerner's latest gem, and it's up to his usual excellent standards; a winner all around." For a bit more about the story, read on. Fine wine -- and even, if you're old enough, the not-so-fine, screw-top beverage the subject-line slogan will evoke -- must age to reach its full potential. I find the craft of writing to be like that. Sure, I've knocked out the first draft of some short stories in a few consecutive days (or even one! ), allowing nothing to interrupt. For longer stories and novels, the process is more complicated -- and not merely because longer stories require (at the least) months to complete. For longer works, the original story concept -- no matter how detailed my research, going-in outline, and character sketches -- benefits from a time-out. From a bit of aging, if you will. More often than not, I'll set aside a long work once the first quarter of it (give or take) is in first draft. Even when that pause comes simply from a reprioritization -- writing under contract must trump writing done on spec -- I've found that the time away is always for the best. With the daily news so often grim, and the 2016 presidential campaign already seeming endless, I find it uplifting, from time to time, to reground myself in less well covered -- but more meaningful and exciting -- dispatches from the frontiers of science. Today: reports and speculations from the frontiers of physics. We'll begin with applied physics. Since the Sixties, we've been on a pell-mell race to continue upping the density (read: continue decreasing the cost and/or size) of electronics. It's that steady progress that brings us such goodies as HDTV and smart phones. Regularly the prognostication is made that Moore's Law (the doubling of component densities every two or so years) must soon come to a screeching halt. Intuitively, that makes sense -- over the decades, some features of state-of-the-art chips have been reduced to a mere 14 nm across. (Interatomic spacing in crystals is about 0.1 nanometers -- we're not talking about a lot of atoms across such tiny features.) 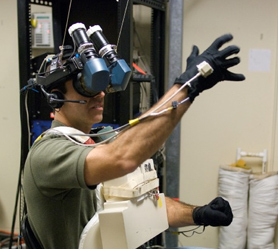 Technologists, fortunately, keep coming up with clever approaches to sustain the trend. See "Intel: Moore's Law will continue through 7nm chips." How long can such progress go on? Perhaps until single molecules serve as electronic components. See "Molecular Electronics Takes Large Stride Forward" for the example of single-molecule diodes. I'm newly home from Chicago and a wonderful experience: SFWA's annual -- and, as it happened, the 50th -- Nebula Awards weekend. SFWA, of course, is the Science-fiction and Fantasy Writers of America. (In this instance, not a typo. When fantasy authors demanded equal billing in the organization's name, maintaining the historical acronym and logo required that odd mixed capitalization.) The Nebulas, awarded annually by SFWA for specific works of fiction, are among the highest honors in the genre. An even higher honor is the Solstice Award, "granted in recognition of the positive impact and influence the recipients and their work have had on the science fiction and fantasy genres." 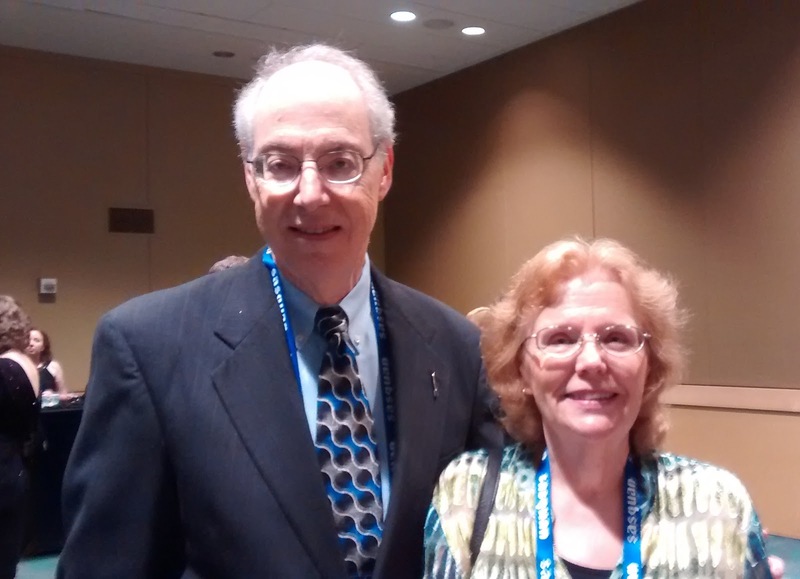 This year's honorees were Joanna Russ and Stanley Schmidt. Stan, of course, was the long-time editor of Analog. Over the years I've come to know Stan as a mentor, colleague, and friend. It was great to see him honored. But the highest SFWA recognition, IMO, is the SFWA Grandmaster Award. 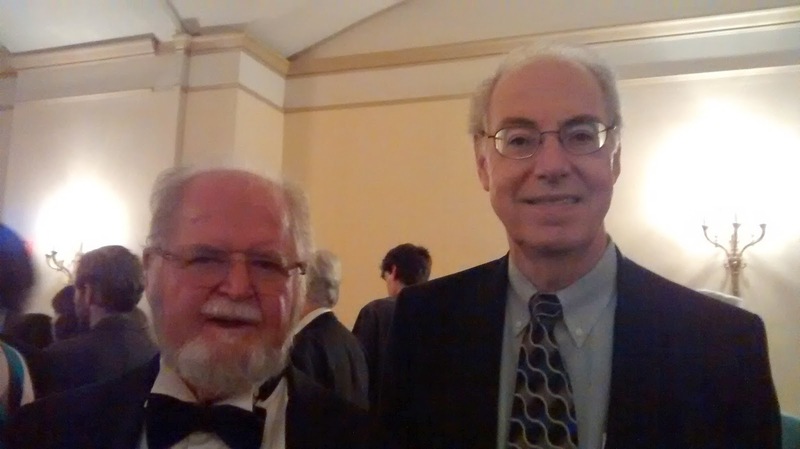 This year's honoree was Larry Niven, recognized "for his invaluable contributions to the field of science fiction and fantasy" (he writes both). Larry is my frequent collaborator and friend, and I was invited to join the panel at a Niven-retrospective session and to contribute a written appreciation. I was happy to oblige, and here's what I wrote. Getting the downers out of the way first: "NASA says new heavy-lift rocket debut not likely until 2018." 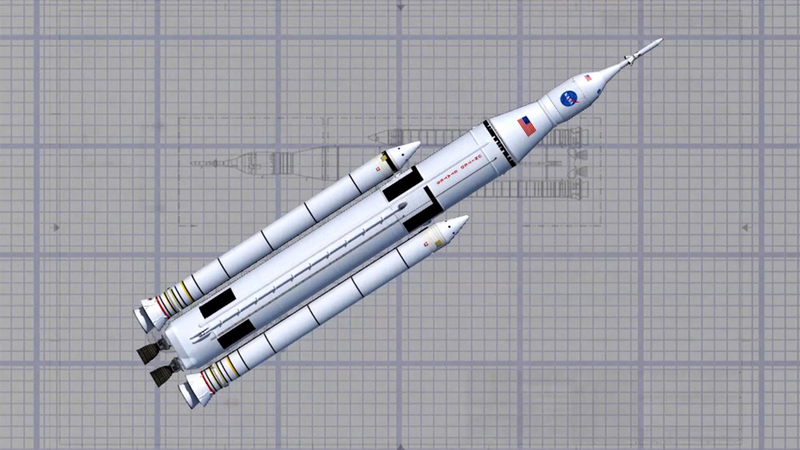 And wouldn't it be nice if NASA knew what it wanted to do with its ever-delayed launcher? (On that latter point, it's not only me who wonders. From the Washington Post, see, "NASA has a spaceship, but where will it go?") Creeping toward a mission choice -- for 2025 -- we read "For Asteroid-Capture Mission, NASA Picks 'Option B' for Boulder." I will explain, in the (way) longer-than-usual post to follow, but here's the substance: One of the best ways to support an author is to write an honest review of his book on Amazon, Barnes & Noble, or other etail site. (Not to knock buying, reading, and recommending the book.) Reviews don't need to be long -- two or three clear sentences giving an opinion, and a reason to back it up -- to do the trick. Carl Rowland, longtime agent of the United Planets Intelligence Agency, has been recalled to Earth to explain the death of his partner. Setting aside that he’s torn apart over her death, the summons is convenient: on Earth he stands a chance of unraveling an alien plot whose vague outlines have begun to emerge. And the Xool? Who or what are they? You'll thank me for not spilling the beans. It'd be spoilerific. The workshop's topic: Aliens and Their Societies. 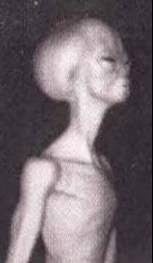 Want your aliens to seem alien? 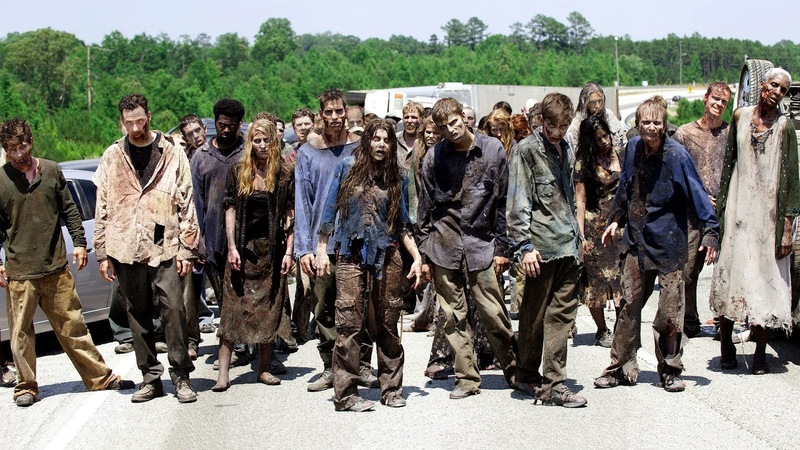 Your elves, orcs, and zombies to stand out from the rest? In this advanced science fiction and fantasy seminar, we’ll look at physically believable “others” and how they fit their environment, behavior (alien drives and psychology), culture (drawing upon the wealth of human history), and language and communications. As our final group exercise, we’ll tackle a group-selected cultural issue, such as religion, warfare, gender roles, or the alien city. The release of a new novel is a whirlwind of activity (of which the occasional blog or FB post is only a small part). Releasing a novel in serial form? An N-part serial, I've been learning, takes almost N-times the effort of "merely" a book. To remind myself that there is life outside of new-book promotion -- and to save my sanity -- I took a break last weekend in downtown DC. The highlight of that break was a visit to the National Building Museum. The building now home to the building museum (recursive, to be sure) was completed in 1887. It first served as headquarters of the Pension Bureau (a precursor to the modern Veterans Administration, serving Union veterans of the Civil War), and is commonly known as the Pension Building. This is an enormous, all-brick (15 million bricks, more or less) structure that borrows design and ornamental elements from the Parthenon, Trajan's Column, and Italian Renaissance palazzos. The building all but fills a city block.